LED Landscape Lighting | Outdoor Pathlights, Well Lights, Spotlights | Trex " "
Landscape lights can be easily adjusted for a one-of-a-kind look. Use them to illuminate hedges, pathways, flower beds, trees and architectural features of your home. At 3000 degrees Kelvin, the light is warm white, perfect for lighting elements of your yard. Landscape lights use long-life LEDs from CREE, a worldwide leader in energy-efficient lighting. Compared to incandescent, Trex Landscape Lighting is up to 9.1x more efficient. 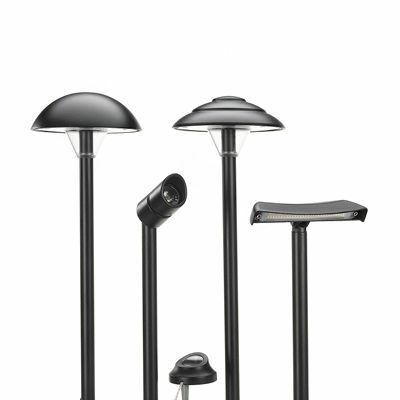 Made with powder-coated aluminum, landscape lights can withstand years of tough weather including rain, wind and hail. Plus, the silver-coated copper wires are safe to bury underground and out of sight. All landscape lights are backed by a limited warranty. 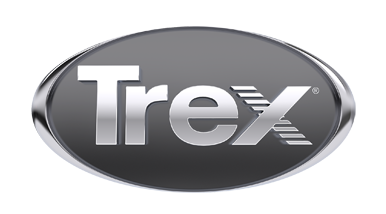 Trex covers the LED lights and housing for five years of use. To avoid splitting wires, you can install landscape lights with the built-in Trex LightHub connection system. There’s no wiring or electrical skills needed; just plug them in and enjoy. Well lights provide ambient illumination for bushes, foliage and small structures. A removable spike keeps the light in place and allows for easy customization. 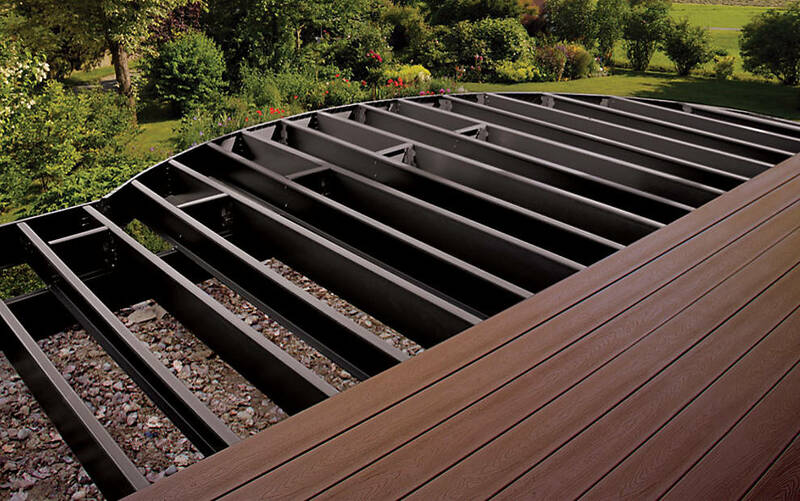 Maximize the well-lit look of your yard with lighting designed to fit your deck, railing and stairs. It’s wayfinding made way better. Find your lightning bolt of inspiration from these show-stopper decks, all decked out with amazing LED lighting. Enjoy the beautiful illumination from an equally elegant seat. With several finely honed collections to choose from, Trex Outdoor Furniture makes relaxing under the stars a true art form.